For sale is this Omega Naiad Medicus RAF 6B/159 c.1941. 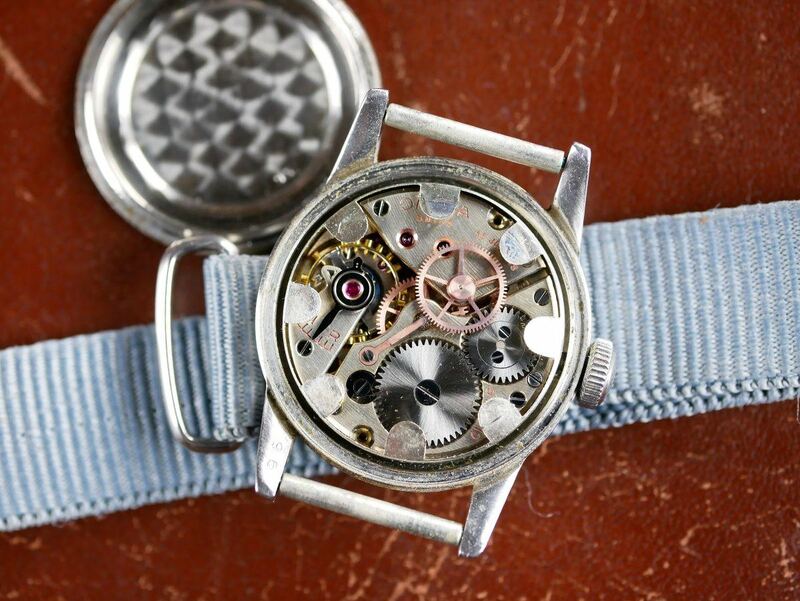 This very rare and unusual Omega Naiad “Medicus” wristwatch features the 23.4SC T1 movement which was the very first centre second movement produced by Omega. 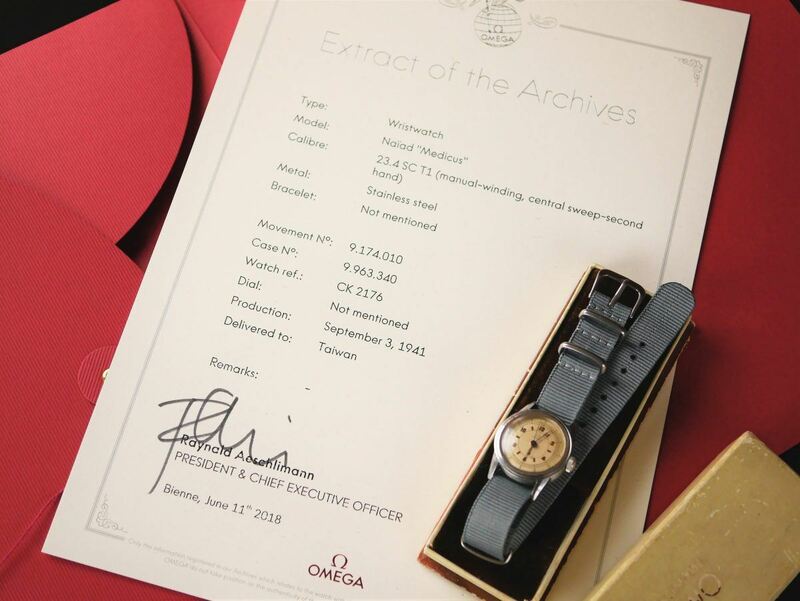 The watch comes with what appears to be its original box and an extract from Omega’s archives which confirms that it was manufactured on 3 September 1941, almost exactly two years after Britain entering the Second World War. Interestingly, the watch was originally delivered to Taiwan, which was under Japanese rule at the time. Somehow, the watch found its way into British hands and was later issued into service with the RAF. This is confirmed by the markings on the reverse of the case back. 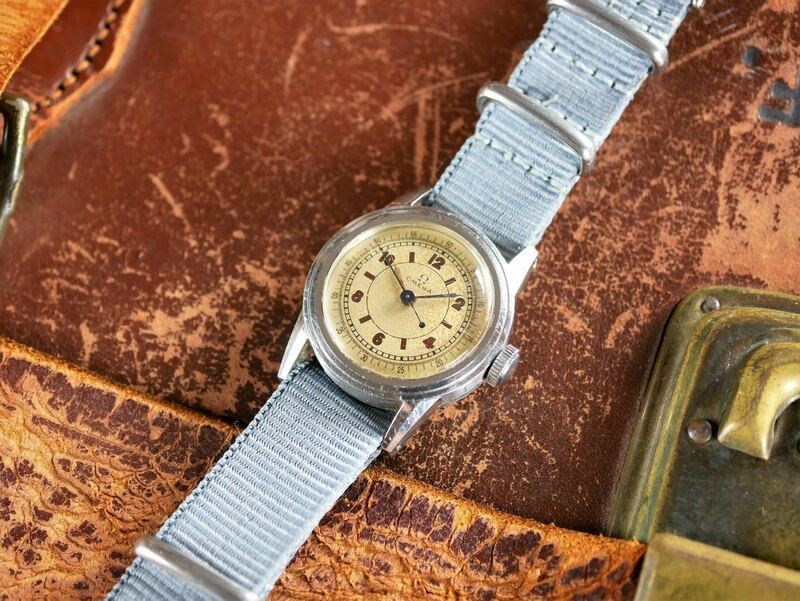 Britain suffered huge shortages during WW2 and this in no way excluded the supply of quality wristwatches. 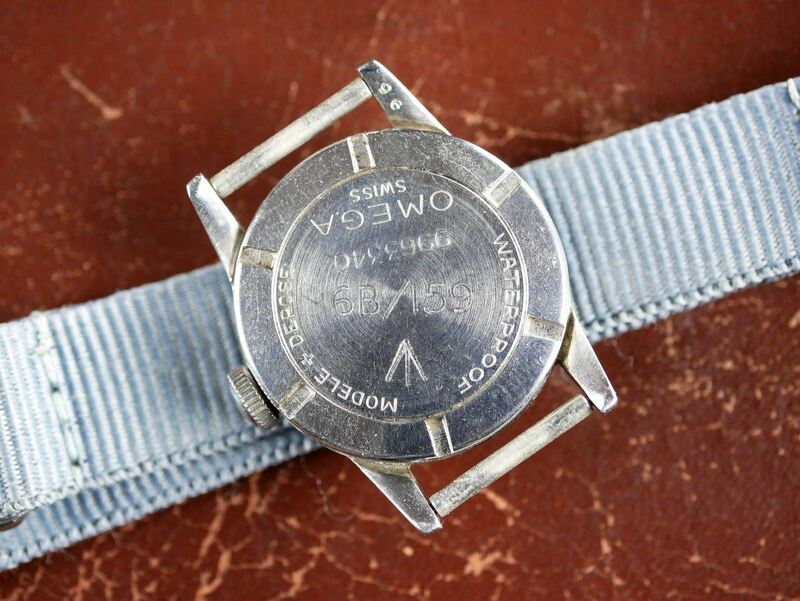 As such, suitable civilian watches were commandeered and issued to pilots and navigators of the RAF and Fleet Air Arm. The watch for sale is in lovely original condition. The original factory dial is in beautiful condition. The hands, seconds hand and crown are all correct to the original specification of the watch. As expected, there are a number of fairly minor scratches and marks to the outer casing and original glass of the watch. The Omega 23.4SC T1 calibre movement is in very good condition and is currently running well and keeping excellent time. The watch diameter is 28mm. The watch is listed for sale on our website priced at £1,895 which includes a newly fitted NATO strap and quality hand-made leather watch pouch. This price includes free shipping for members of Chronotrader!